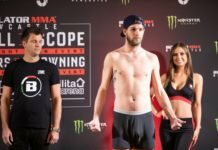 Bellator Newcastle kicked off with a solid decision victory for English prospect Fabian Edwards. Fabian Edwards improved to 6-0 at Bellator Newcastle when he took on UK veteran and former Cage Warrior’s champion Lee Chadwick. The first round was a typical display from ‘The Assassin’ who landed eye-catching shots to the face of the 34-year-old and seemingly controlled the tempo. 🔥@FabianEdwards24 looking strong in this first round. 🇬🇧Main card LIVE in the UK on @Channel5_TV NOW! The second round was a steep learning curve for Fabian who repeatedly faced adversity. Chadwick was rushing forward with short and snappy hooks and often pushing Edwards against the cage. The relative novice stuffed any attempts and took the second round in the process with the better shots landed. The third and final round saw the Liverpudlian off to a quick start, perhaps knowing he needed a finish. He had Fabian on the cage but the Birmingham athlete reversed this, taking Chadwick down himself, unleashing vicious shots to the body for the second half of the round. The mature and calculated performance saw Edwards move to a still-perfect record of 6-0, not losing a round on the judges’ scorecards. 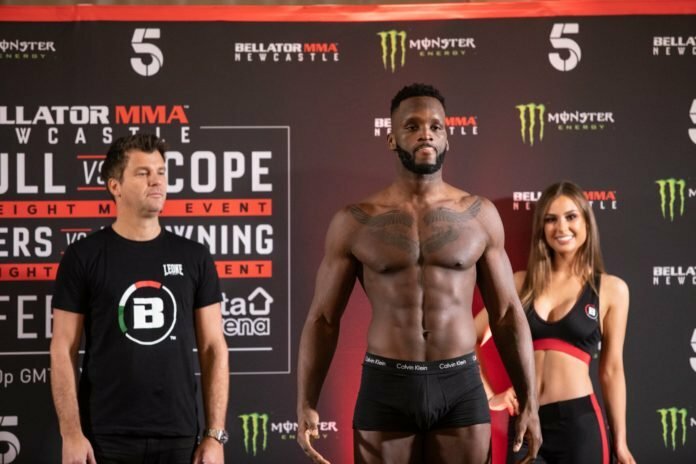 Fabian’s brother, UFC welterweight Leon Edwards, will look to keep his family’s run going when he takes on Gunnar Nelson in the co-main event of UFC Liverpool next month.